The SAN PORFYRIOS ship under the Belize flag was stopped by the border guards of the Odesa detachment of maritime guarding of the State Border Service of Ukraine. The border guards of the Odesa detachment of the maritime guard discovered a violation of the ban on access to closed ports of the temporary occupied Crimea by another foreign ship, according to the report by the press service of the State Border Service of Ukraine. Despite the fact that the ship had changed the flag and name, trying to confuse law enforcement agencies, the border guards carefully tracked its way to the unique identifier of the ship (IMO). The SAN PORFYRIOS ship under the Belize flag was stopped by the border guards of the Odesa detachment of the maritime guard of the State Border Service in the Ukrainian waters of the Danube River on its route from Romania to Greece. 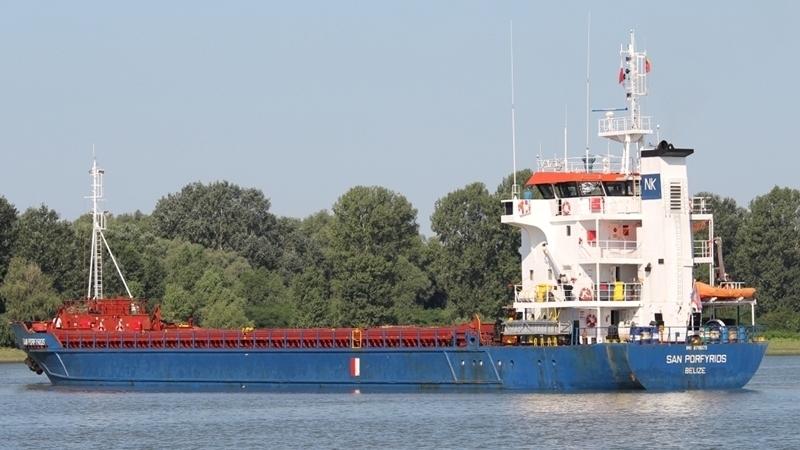 According to preliminary data, the vessel called Sava Lake under the flag of Panama, with the IMO similar to the one of SAN PORFYRIOS, repeatedly entered the temporarily closed ports of the Autonomous Republic of Crimea over the period 2014-2015. One of the captain's assistants on the ship twice was in the ports of the Autonomous Republic of Crimea. Consequently, he is a violator of the law on Temporary Occupied Territories of Ukraine, and he is forbidden to enter Ukraine for three years. Earlier, QHA reported that the site Peacemaker had published information about large batches of soda ash from the Crimea that are transported to the EU through Egypt by sea.